Siem Reap is the town to explore the temples of Angkor Wat – one of my Top 5 Historical destinations and I highly recommend it. 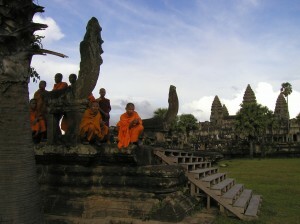 If this is your first trip to Siem Reap or a developing country like Cambodia, it helps to prepare a little bit. The countless friendly locals welcoming you at the airport and offering their services to get you to your hotel and around town can be a little overwhelming, so read my tips for Travel Made Easy – Getting around Angkor! If you are arriving by plane and need to get into town, you’ll have an approximate 30-45 minute drive to the hotels in town ahead of you. 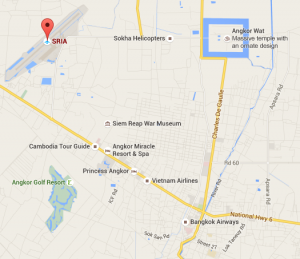 Many hotels in town offer a free pick-up from the airport, depending on the price category by tuk tuk or car. That will make your arrival stress-free, as you can expect to be welcomed by an employee with a sign and your name on it! Many drivers know that you are in town to see the temples and will try to win you as a customer for the day tours. A ride from the airport by the local version of a Tuk-Tuk, a “trailer” pulled by a motorcycle should be $7-10. It’s open-air and seats 2 people plus luggage (more in a pinch). The ride in a car with air-conditioning will be $8-15 and seat up to 4 people plus luggage. A new, upscale car (4 people) or a larger van, seating a larger group will cost $15 or up. 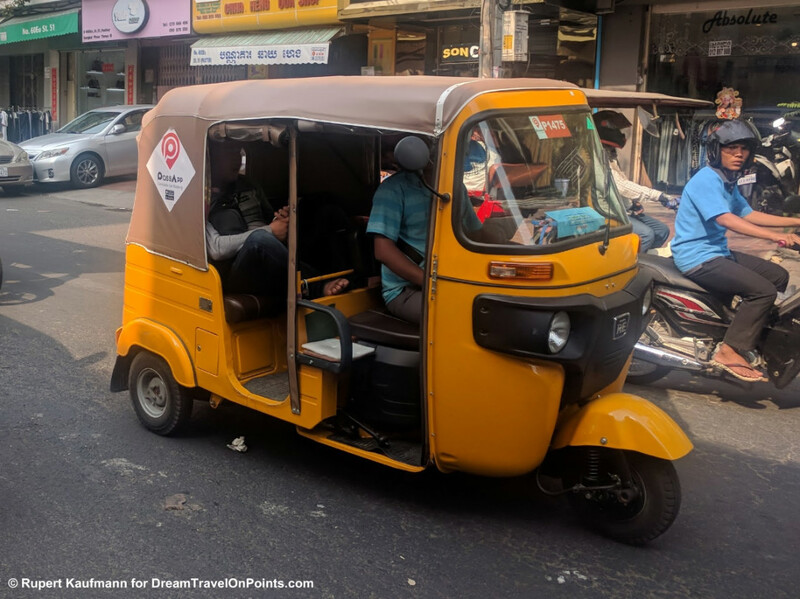 If you need a ride around town during your visit, let’s say from your hotel to dinner, you’ll find plenty of tuk-tuks waiting at your hotel or near pub street with all its restaurants and bars. Prices around town are $2-3, depending on your negotiating skills. 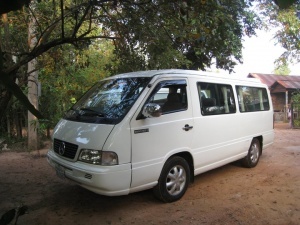 Luckily, you don’t have to negotiate anymore or even bring cash – ride hailing services have arrived in Siem Reap: grab Cambodia offers rides with above tuk tuks, the newer rikshaws as well as cars and SUVs around town and to/from the airport. Rikshaw rides around town are $1-2 and you can pay by credit card. My ride to the airport by open-air riskhaw was $4, significantly less than what you’ll be able to negotiate at the airport. Check my tips in the grab link above. PassApp, a local competitor offers similar services and prices, but requires you to pay cash. So, you came to see the temples and your driver or your hotel will most likely ask about your plans for the duration of your stay. My recommendation is to hire a private driver for the whole day to give you full freedom to explore the temples you’d like to see on your schedule. 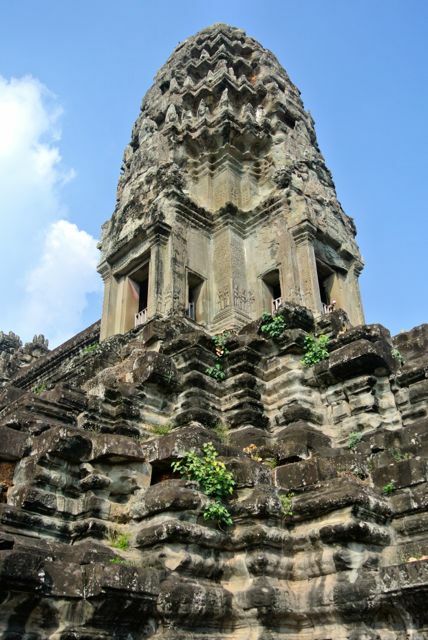 The temples around Angkor have become very popular and receive more than 1 million visitors. With many of the tours following the same schedule, it can get pretty busy at Angkor Wat and other main temples. With your own driver, you can plan your own itinerary and I’d recommend to go against the stream. Visiting some minor temples during the main hours and the main temples at less popular times gives you a chance to explore the temples in a more peaceful setting befitting these wonderful sights! The rates for a day of driver and vehicle is approximately $10-120 for a Tuk-Tuk, around $35 for a car and $40 or more for a van or upscale SUV. The driver will typically suggest a route, but will adjust to your wishes. They’ll wait patiently outside the temple for your return and won’t be able to go inside with you. If you’d like to hire a guide to tour you around the temples, you can add a guide for about $30-45/day, including the main temples close to town. If you plan a longer day, for example including a sunrise or sunset, or you visit outlying temples with a longer drive, the price will be slightly higher. Longer trips to outlaying temples will also cost more, depending on how far you are going. Whether you choose a tuk-tuk or car depends on your budget and comfort needs: I’d recommend to go with a car for day trips. It can get pretty hot in Cambodia and if you are walking all over the temples in the sun beating down on you, an air-conditioned car is a welcome treat on your way to the next temple. I’d recommend to arrange your first day of driving through your hotel – there are a few black sheep among the many honest drivers and your chances of ending up with somebody who tries to re-negotiate your price after you’ve left the hotel is very small, if you go through your hotel – you can ask your hotel to resolve it, in case there are any issues! 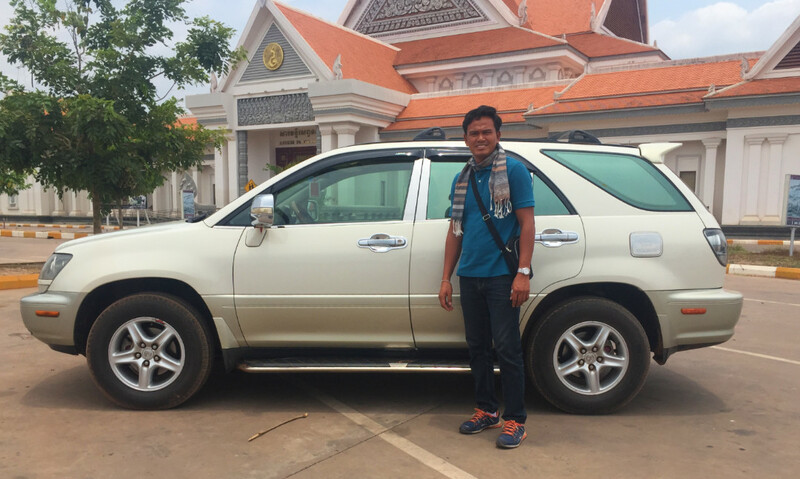 I’ve hired a great, independent driver on my last three trips – his name is Keat Din. He is a safe driver, very reliable and super friendly. He knows the temples very well and has a few tricks up his sleeve, for example dropping you off at a side-entrance to avoid the crowds or have a better view approaching an impressive sight. He’ll also have recommendations for restaurants, bars or shops and made our trips a lot of fun! He even interrupted his weekend night out to take us to the airport! Keat Din has recently upgraded to a Lexus RX luxury SUV with room for 3-4 people. He’ll have cold water waiting for you in the van after a hot walk around the temples. 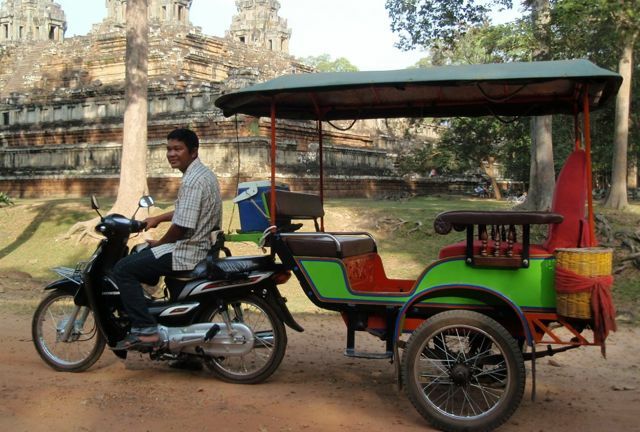 He can pick you up at the airport as well, so you’ll receive a warm welcome to Siem Reap! You can reach him via email at dinangkortaxi@gmail.com, by phone/messenger app at +85510238237, on Facebook as Jame Din or on WeChat ID dinmakara. Best way to contact him is WhatsApp with the number above! I was very happy to see your recommendation. 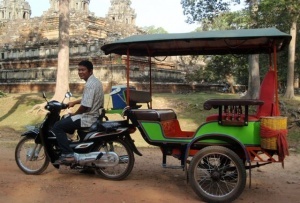 I still work as a tuktuk and taxidriver in Siem Reap. Only my telephone number has changed into +85585383899. Hope you will change my tel. number in your review. 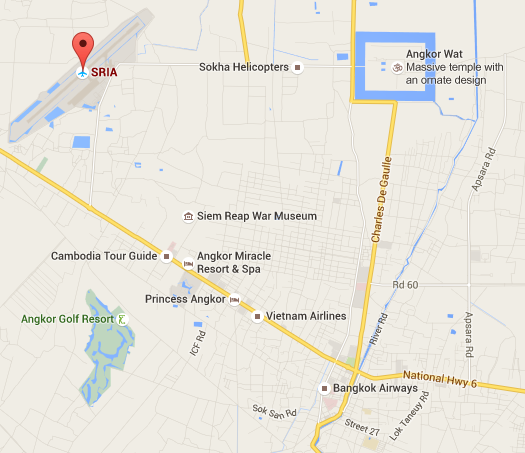 Do you have plans to come to Siem Reap again.